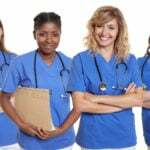 When choosing a career in the nursing profession, it is important for individuals to know the differences between a Certified Nursing Assistant (CNA) and a Licensed Practical Nurse (LPN). 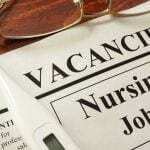 While both positions provide direct patient care in many of the same settings, such as nursing homes, home health care and assisted living facilities, there are many important differences between the two careers in terms of education requirements, job responsibilities and certifications needed. A CNA assists the nursing team with a limited scope of basic care duties while under the supervision of an LPN or registered nurse (RN). An LPN, on the other hand, is able to perform additional tasks to care for patients under the supervision of an RN. Additionally, a CNA training program is significantly shorter than an LPN training program, allowing aspiring CNAs to begin their careers much sooner but often at a lower wage than that of their LPN counterparts. A key difference between becoming a CNA and becoming an LPN is the education required. Aspiring Certified Nursing Assistants first need a high school diploma or GED certificate and then may enroll in a CNA training program. These programs can be completed very quickly, anywhere from 4-12 weeks, and include classroom hours and clinical practice. CNA training programs are offered at many community colleges and technical schools, and include coursework on anatomy, physiology, patient rights and basic patient care practices such as hygiene and taking vital signs. While some CNA training programs include an online classroom component, most states require in-person hands on training in order to be certified as a CNA. CNA training program requirements vary state by state, so it is best to review your state’s requirements before selecting a training program. Following completion of the training program, students are ready to sit for their state’s nursing assistant competency exam, after which they are ready to begin working as a CNA. Aspiring LPNs, on the other hand, begin their careers with a more in-depth formal training program, which usually takes about 12 months to complete. Like most CNA programs, LPN programs are offered at many community colleges and technical schools and require students to complete much of their training in person. Coursework for an LPN program is generally more detailed than a CNA program’s curriculum, and will include subjects such as medication dosage and administration, pathophysiology, specialized care and legal and ethical issues in nursing. Unlike CNAs, LPNs are required to pass the National Council Licensure Examination (NCLEX-PN). Learn more about CNA to LPN programs. The mean annual salary for Certified Nursing Assistants was $26,590 in May 2016 according to the U.S. Bureau of Labor Statistics, compared to a mean annual salary of $44,840 for LPNs. Factors that may influence salary levels for both these professions include geographic location, type of employer and years of experience and education level. While in general CNAs make significantly less than LPNs, many nurses use their CNA experience as a stepping stone to further education and a higher paying nursing position. See a complete state by state table to compare an LPN to a CNA salary. Assisting with patients’ activities of daily living, including dressing, bathing, using the bathroom, etc. Both CNAs and LPNs are important members of the medical care team, and provide basic care to patients in a variety of settings. While the positions do share a few of the same basic job functions, the LPN provides more in-depth hands on patient care, while the CNA assists the LPN with a limited scope of job duties. CNA's and LPN's also have different licensing and certification requirements for aspiring nurses to be aware of. LPN candidates are required to pass the National Council Licensure Examination (NCLEX-PN) following completion of their state-approved and accredited Practical Nursing program. Once candidates have passed this exam they may begin working as an LPN but first we would suggest considering the job description of an LPN. CNA's are required to pass a competency exam for the state they practice in before they can begin working. Eligibility requirements for a CNA exam vary from state to state, but in general they include a high school diploma, completion of an accredited nursing assistant program and completion of a minimum number of CNA training hours. A CNA candidate also will need to provide the state with an immunization record, TB test results and a background check before sitting for the exam. Once candidates have passed the competency exam they may begin working as a CNA.